a successful fur trader and a politician. He and his partner had a monopoly for many years of fur trade with the large Osage tribe on the Missouri River. In addition, he had numerous business interests in St. Louis and was well-connected with the various rulers: French, Spanish and American. The French garrison just across the river at Fort de Chartres agreed to store the goods until the British arrived. (Following the Seven Years' War, the French conceded their territory and installations to the victorious British. The fort was to be turned over to the British according to the Treaty of Paris (1763). 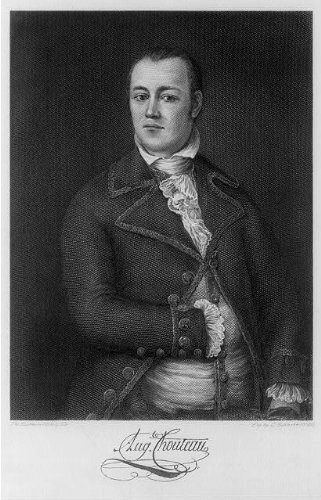 [The commandant of Illinois, Pierre-Joseph Neyon de Villiers, suggested French settlers should relocate from the Illinois Country to New Orleans. (He thought it would be under French control, as he did not know of the Treaty of Fontainebleau (1762) to give control of the area west of the Mississippi to the Spanish). Auguste Chouteau lived here until his death.In addition to Auguste, Marie Therese had an additional four children (by Pierre Laclede, but under the surname of Chouteau). [ Among these four were three girls and a boy, Jean Pierre Chouteau, who later became a partner with Auguste in business and politics.After Laclede's death in 1778, Chouteau took over the business of trading, adding greatly to the family fortunes. His relationship with the Osage Nation became particularly important when, in 1787, the Spanish governor Esteban Miro ordered an end to trade with the Osage and began to prepare for war against them as a result of fighting between Osage and European settlers. Although the government continued its ban on trade with the Osage, Chouteau was able to defuse a conflict between Osage and Spanish-armed settlers through his intervention with Miro. In 1793, these problems culminated in an order from the Spanish Governor General Francisco Luis Hector de Carondelet, in which all trade between settlers and tribes was to cease. Hector also ordered a military expedition against the Osage and other tribes.However, Hector was persuaded toward peace by an Osage delegation led by Chouteau to New Orleans in the spring of 1794. To convince Hector of peace, Chouteau promised a military fort built among the Osage at his own expense. In return, Chouteau was given a six-year monopoly on trade along the Osage River. 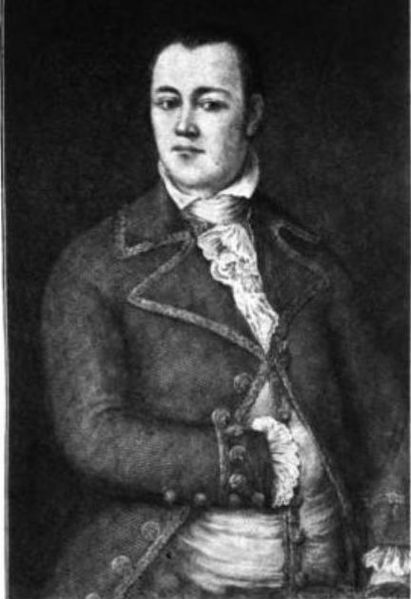 However, in 1799, new Spanish Governor General Manuel María de Salcedo began favoring a Spanish businessman instead of the Chouteau fur operation. 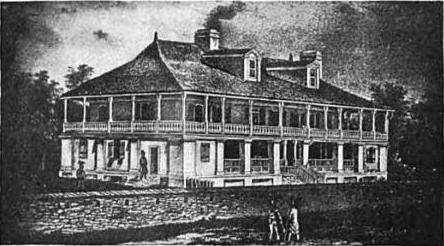 Fort Carondelet was sold to the Spanish firm, but Chouteau continued trade with the Osage on the Verdigris. [Yet the Spanish competition was short-lived, as the Louisiana Territory was transferred first to France in 1800, then the United States in 1803. From 1806 to 1815, Chouteau continued leading family fur trade business, eventually negotiating part of the Treaties of Portage des Sioux in 1815 after the War of 1812. 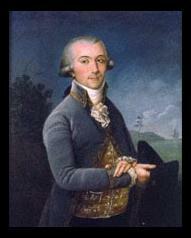 In 1816, Auguste Chouteau retired from his trading businesses. [Still active in Indian issues in 1817, Chouteau served as a U.S. Commissioner of Indian Affairs with William Clark in the first U.S. treaty with the Ponca tribe.